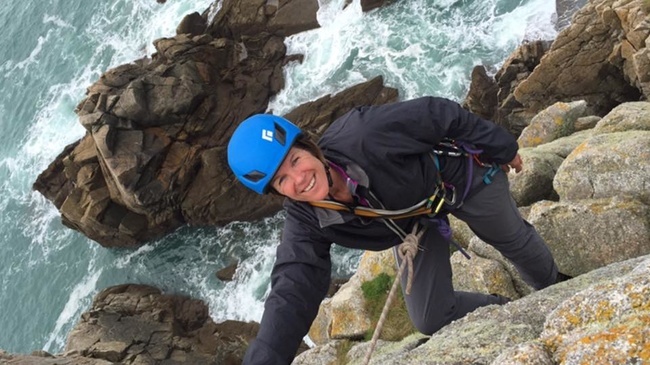 ‘Lundy lies off the coast of North Devon, where the Atlantic ocean meets the Bristol Channel with nothing between it and America, a granite outcrop, three miles long and half a mile wide. What I remember the most is how peaceful this place felt. 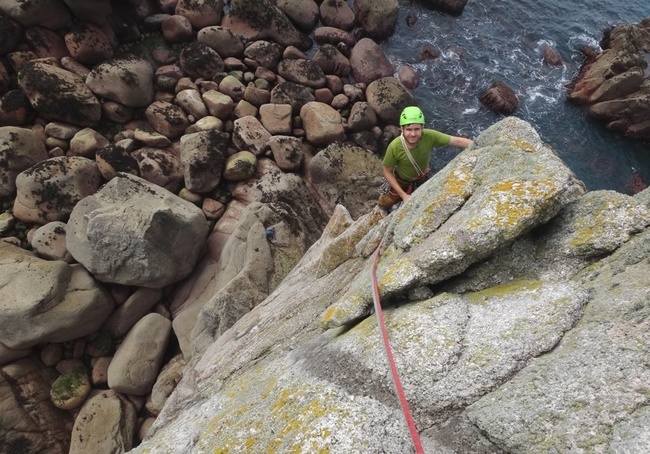 Sure, there were tourists coming for a day trip on Saturday and Tuesday but you could easily escape them by abseiling down those magnificent sea cliffs. And magnificent they were. When a 100 m ab rope was just about enough, your perception of heights changed significantly. Once you were by the sea, you could sometimes see some curious seals coming closer to check you out. Sometimes they got closer than intended and got a massive fright instead. 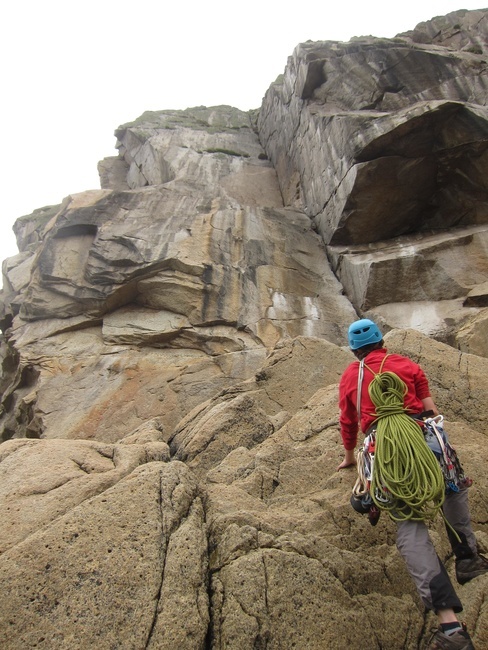 The granite was grippy and unspoiled and massive multi pitches granted lots of varied adventurous climbing. My favourite moment was definitely looking down Devil’s Slide from the Traverse at the top and seeing the seal still watching us all from the water. The meal was fantastic too. And the organisation. 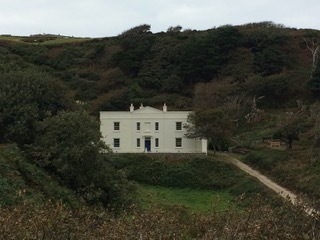 And the House. And the Company. And the climbing. 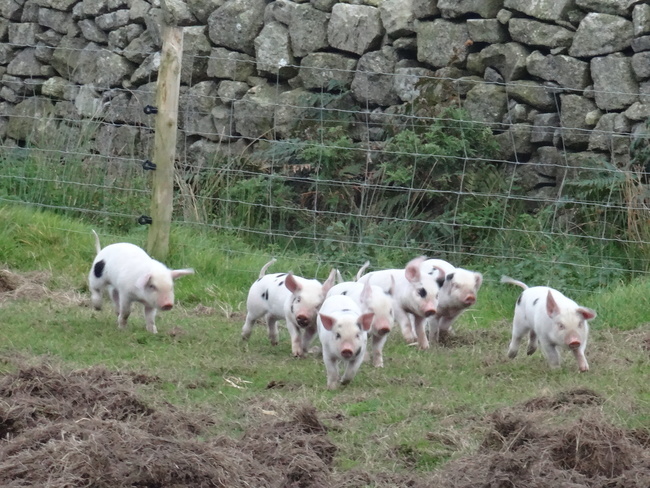 And the pub…..! The boulder hopping out to the Needle and back was fun too although spiced with a certain anxiety about how we would get out if the tide beat us back to our intended exit route. Integrity HS and Invincible VS totalled 5 stars – not bad for one sea stack! And we made it back to the Punchbowl cliff in plenty of time to climb the Pretender, which turned out to be a better than expected VS. 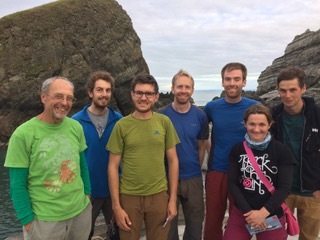 The only other party to make it out to the Rock left after just one route and had an unpleasant time prussiking up their ab rope so Rob and I reckoned we had sussed it out pretty well all things considered. The very ‘spicy’ approach to Sunset Promontory being the first thing we had to negotiate on the island. Dan and I being the first on the Devil’s Slide on the sunny Sunday. For a while we had it all to ourselves before the crowds arrived. Abbing into the wrong bit of cliff when trying to find Shamrock at Landing Craft Bay. This resulted in a very scary free-hanging abseil. 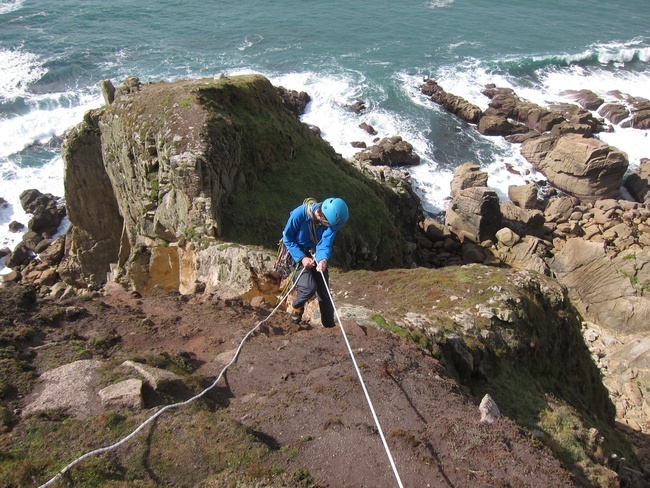 Having our ab rope fall into the sea and wrap itself irretrievably around a boulder when trying to reach the start of Nonexpectis Jugsimisius. I ended up having to ab down, cut the rope, and then do my first real-life prussik back up the rope. 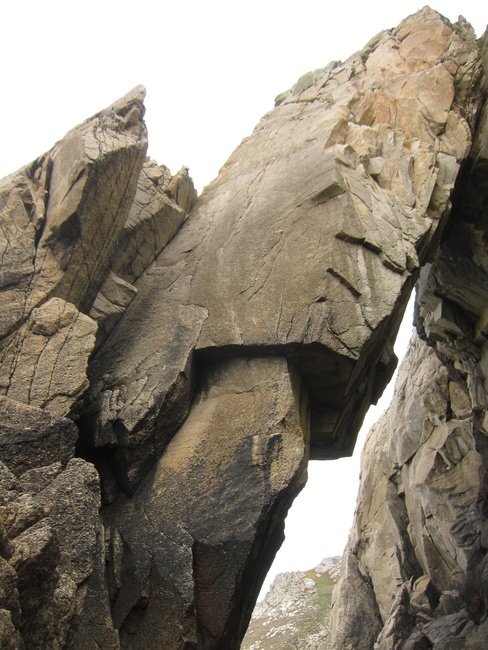 As the sea thundered into the channel beneath the massive, slippery, chockstone I was stood on, my mind went slightly fuzzy as to which prussik went above which. I got up eventually climbing Diamond Solitaire on the Flying Buttress. Brilliant climbing in an improbable situation, a fantastic end to the trip. Having been to Lundy many times it’s hard to think of a memorable moment. (It’s all memorable.) We did Devil’s Slide this year, the latest of many ascents for me. 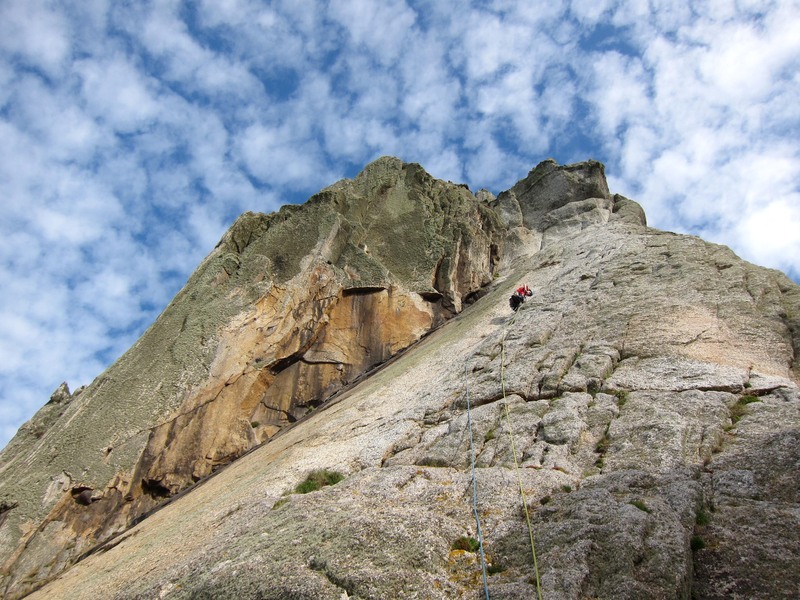 This route is an uber-classic, and yet as usual it threw out a few little snags. Snags like finding a bit of pro when you want it, spotting the best place to belay, protecting the second. But the positions are fantastic and the whole Slide is spectacular. We also did Albion, and that is very satisfying. 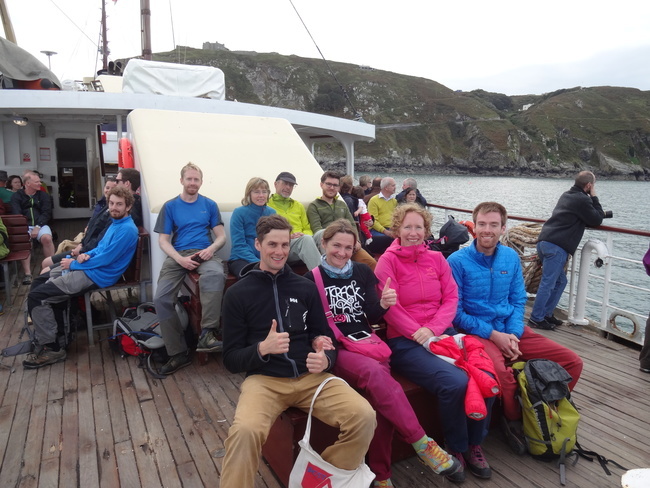 The AMC group hoping for calm seas on the way back. The photo of the day we got up early and beat the crowds to the devils slide below. 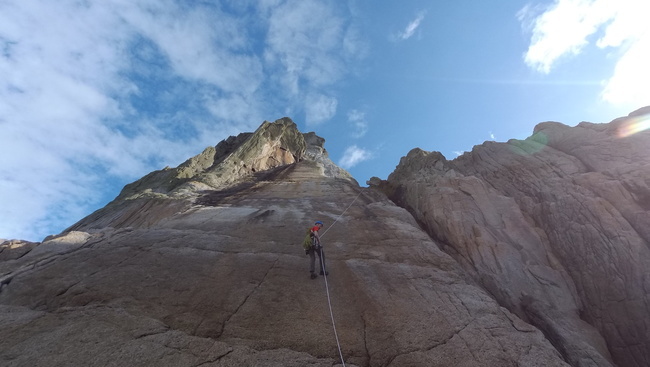 We abseiled down under blue skies and then set up off the first few easy pitches thinking we had the whole amazing place to ourselves! 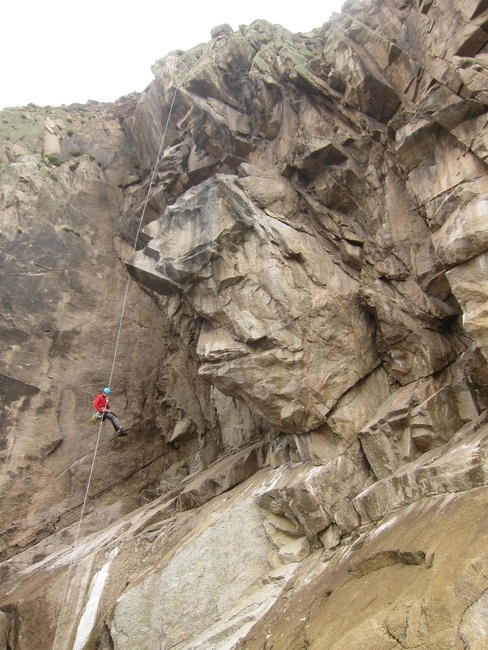 It wasn’t until the third pitch where about 20 people turned up, and watched as I wobbled up the blank slab. Steve’s camera made a bid for freedom but luckily I managed to scoop it up from the top of Albion, which we climbed next, and was my favourite route of the trip. We enjoyed swimming and running….and some chatting to seals! The company was great and the entire trip was well organised and brought us all together. A great example of this is the last meal on the island that was cooked for us by Al and Becky. Having our last dinner together, exchanging stories and planning next trips is all that these trips are about. Connecting people, having adventures together as well as planning futures ones. Till we meet again my friends! 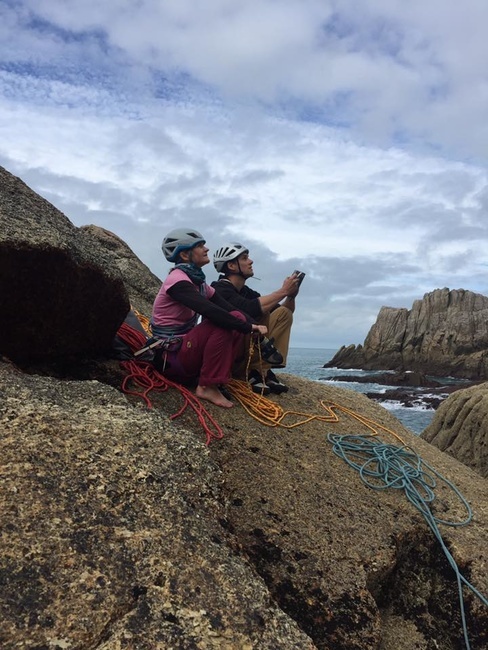 This entry was posted in Trips and tagged AMC, Climb, Climbing, Climbing trip, Lundy, Trad. Bookmark the permalink.